23cm wide by 162 – 194cm long. 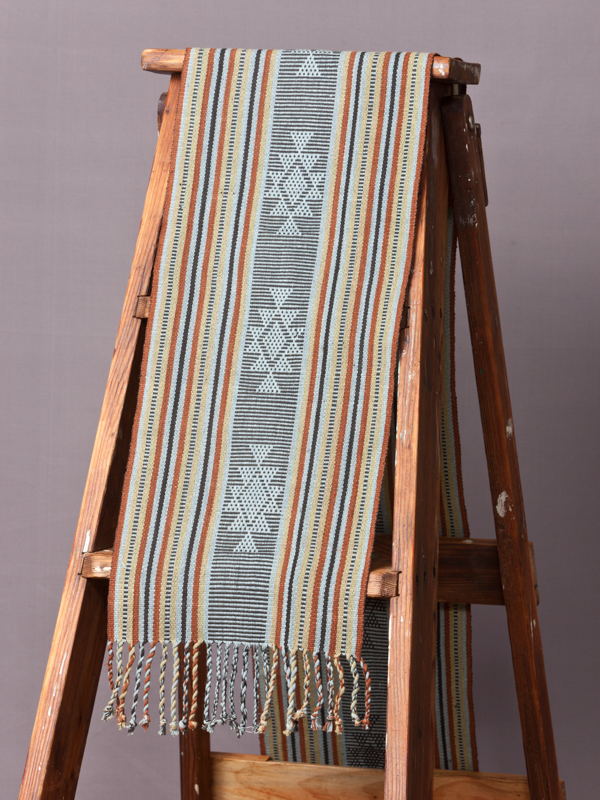 100% cotton, hand-woven & plant dyed in Timor-Leste by LO’UD Cooperative weavers. The colours of ‘Coral Coast’ are inspired by the mossy blacks and greens of rock pools at the ocean’s edge. Featuring Meli-Meli; stunning embroidery motifs, created during the weaving process. Our textiles fuse traditional & contemporary design. SKU: CC-M-22. Category: Scarves. Tags: 22cm, Black, Blue, Brown, cotton, Embroidery, Green, Meli-meli, natural dye, selendang.